Turquoise and copper make such a wonderful color combo on these boho earrings. Dyed turquoise stones of Magnesite are snuggled into a antiqued copper oval bead frame with a tribal dangle dancing below. Ear wires are nickle free. 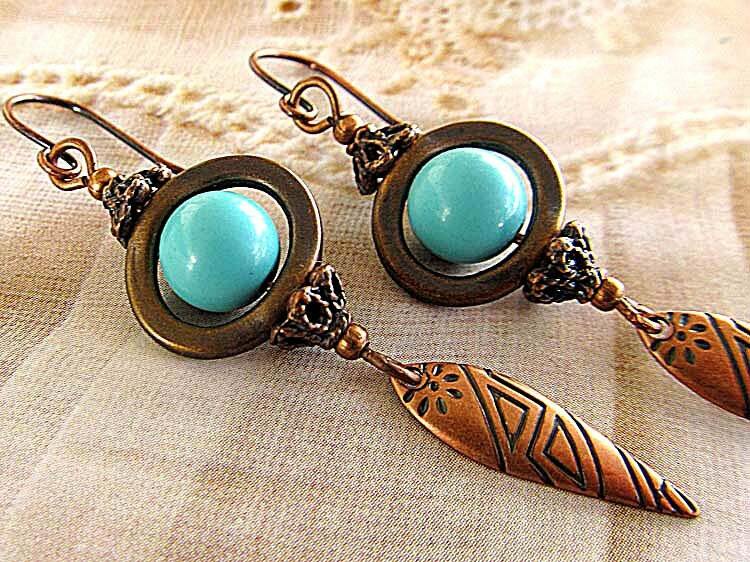 Copper earrings Moroccan Earrings Boho Bohemian Jewelry kidney ear wire.